After a couple of weeks, I finally decided to keep the Michael Kors boots. They are beautiful in person, just a little snug on one foot. I'm sure they will stretch a bit as I wear them more and I have that one stuffed with socks to help it along! It seems like I've been on a show streak lately with the ABEO ones I received this month. 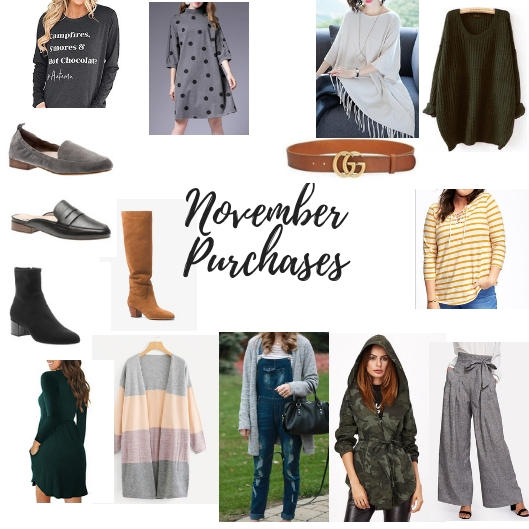 I've also already ordered a pair of edgy black booties and Koolaburra by Ugg during Cyber Monday. I bought a pair for Claire through Kohl's and then a pair for myself through DSW to get the right sizes and best deals. Kohl's seems to have better prices, but DSW lets you use coupons and rewards on them so it all depends. I can't wait to wear them! My husband was sweet and surprised me by checking out with my Old Navy cart so that is on its way, too. Besides the shoes, I'm going to try and not order anything for December. I have plenty and with Christmas coming up, I probably won't have time to shop anyway! Speaking of Christmas coming up, I have a few giveaways planned. The first is from Caseapp! I've been using a Caseapp case for years throughout several different iphone versions. They really hold up well to wear and tear and protect my phone. My husband is a fan of their durable case version. We love to personalize our cases. I chose a wintery background for the season and then monogrammed it at home with glitter vinyl. You can use their site to add your monogram and have it printed on though. Enter for a chance to win you choice of an item from Caseapp! 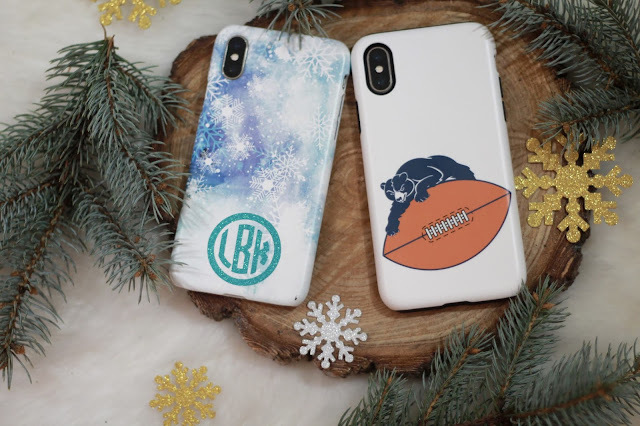 You can also use code LAURABAMBRICK20 for 20% off your purchase until 12/19. I would get the White Marble and Pink case. They have everything imaginable to choose from. I would get the colorful mosaic pattern case for my s8. I love bright colored phone cases they make finding your phone so much easier when it's a bright color.